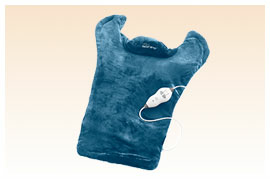 The Thermapulse® Relief Wrap™'s unique design is shaped to perfectly target the neck, back and shoulder areas. 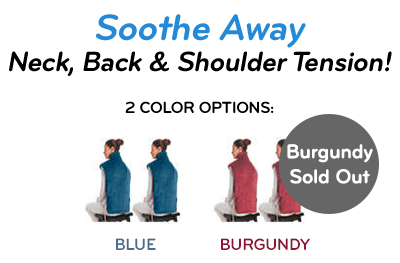 The contoured fit gets to those hard-to-reach areas! 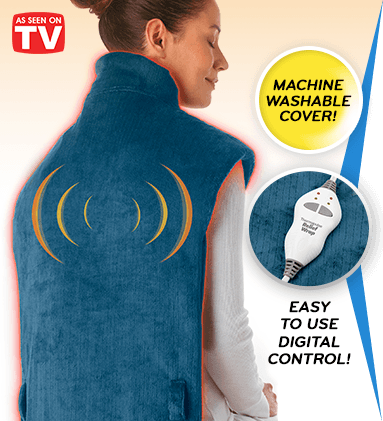 The large wrap, with lightly weighted edges and a magnetic clasp, ensures full coverage and a snug custom fit that stays in place. 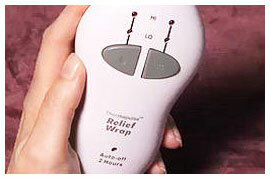 The 2 heat settings let you customize your therapy based on the level of intensity you need to start feeling better! 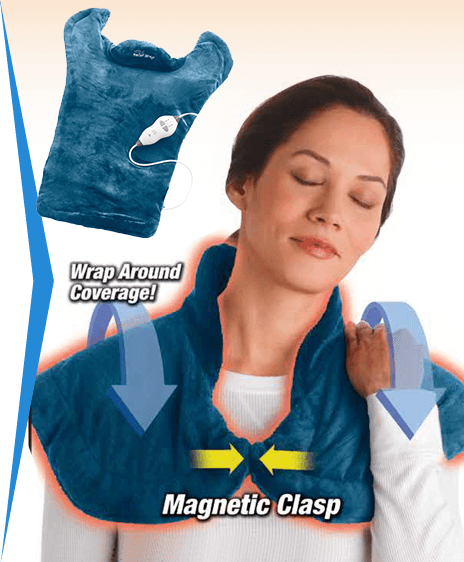 Simply turn on Thermapulse® Relief Wrap™ to your desired setting and receive relaxing therapeutic heat directly to the area of stress and strain for maximum relief! 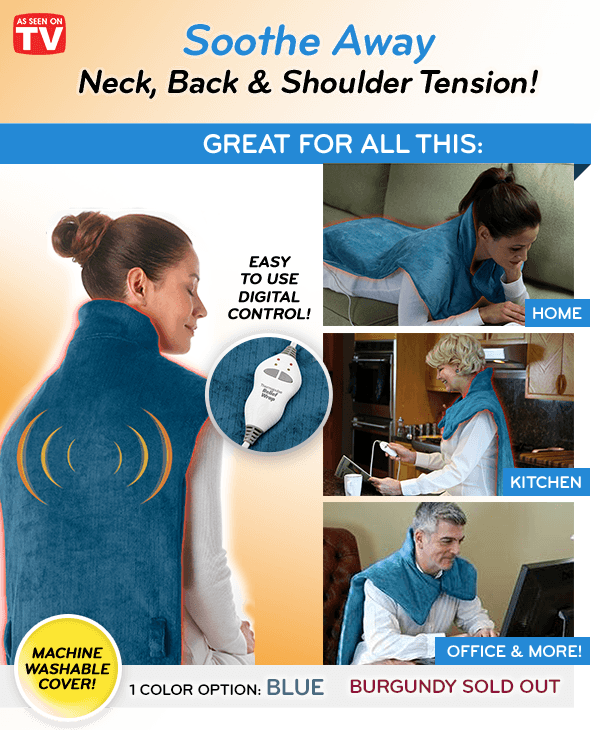 The Thermapulse® Relief Wrap™ 9 ft. long cord and controller allows the freedom of movement so you can sit or lay down and use it anywhere! Perfect for your home or office. The 2-Hour Auto-Off feature lets you rest assured you can leave it on as you rest and relax.